1. Place burn under cold running water for 20 minutes. 2. 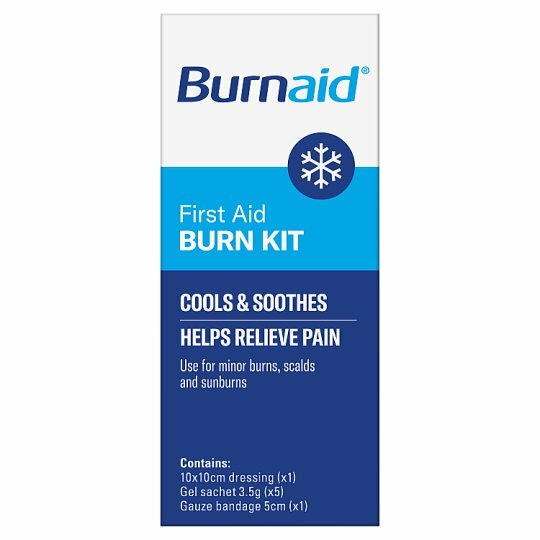 For small spot burns, apply Burnaid® hydrogel liberally to burn area. 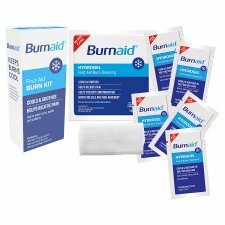 For larger minor burns, place the Burnaid® impregnated dressing over the affected area. 3. Bind lightly with the bandage if required. Repeat application in 30 minutes or as needed. 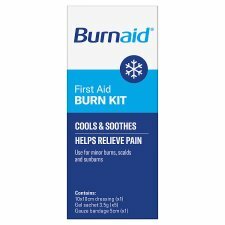 For first aid use on minor burns. Seek medical attention for more serious burns. For external use only. Contains triclosan as a preservative. Discontinue use if irritation occurs.